Successfully Added GPS Tracker with SMS Message to your Shopping Cart. 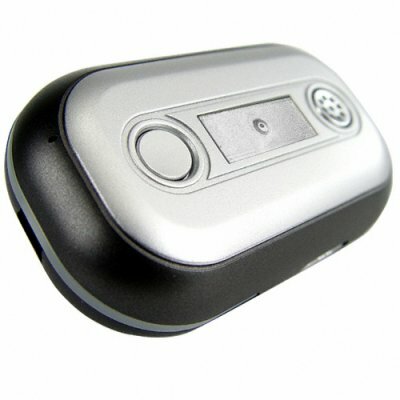 SMS Message GPS Tracker - with this handy little device you'll be able to track and object or yourself from a remote location using ordinary GSM SMS messages. The small lightweight device houses a SIM card and battery, and is able to be used anywhere you have GSM and GPS coverage. During a quick and painless setup process you'll be able to set the time of tracking refreshes as well as the remote phone the device will keep in contact with. After setup it's as simple as "asking" the GPS device to start tracking or just for a single location result, you can even use contact the tracker with voice and whoever has the tracker can reply using the built in microphone. The SMS given to you from the tracker shows location, speed and the date with time. NOTE: This GSM product is compatible with the two frequencies of 900MHz, 1800MHz. It can be used in the EU and similar dual band regions. It will not work in North America. I have tried everything and I cannot get the GPS Tracker to send me a SMS message, what is wrong? You likely have one of two problems - First, does the SIM card have a balance or is it part of an active account? Make sure the SIM card works. Second, does the SIM card you inserted have a PIN code or security passcode? You cannot use a SIM card with a security passcode inside the GPS tracker. on 2009-01-29 13:16:53 A very tidy well priced gps tracking solution! Device sends an sms message to requesting phone. Requests are via sms with password or via one of the sos phone numbers (you have set on the device) ringing the device 3-9 rings and hangup. 10 Rings should enable you to listen-in to the device (two way communication). The device simply flashes when your sos phone number calls in. Call out to your sos numbers by holding the device's sos button for 3 seconds and release (gps sms is sent and call placed), holding for 6 seconds and release to simply send sms. All commands are sent via sms to the device. You can request the device send regular location texts (eg update every minute etc) or simply request on demand. The device supports GPRS and could be set up to update a website directly (requires internet service with your network provider).